I got local organic corn. It began to rain rather hard, so we did not start the grill to roast the corn in the husk outside. Instead, we had to do plan B, and shuck the corn and then boil it up. 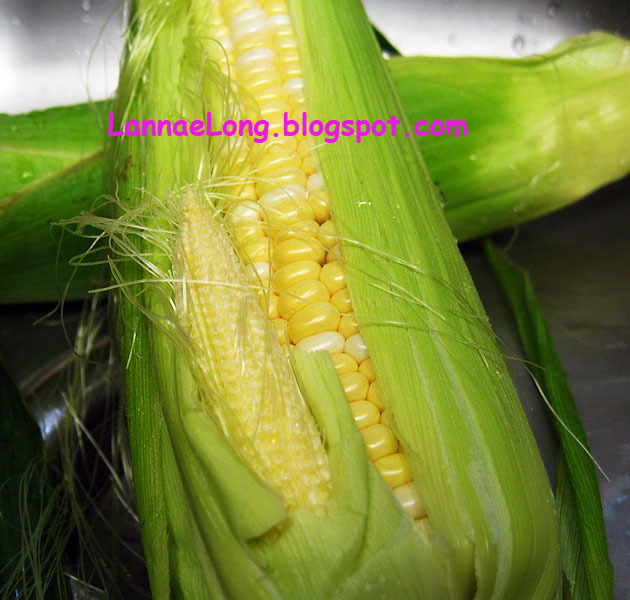 As I was shucking this one ear, I saw there was this little ear of corn growing in the husk of the big ear of corn, there was another little corn spot on the other side of the big ear of corn, and the big ear of corn kernels were all messed up. Altogether there were 3 ears of corn in one husk. I was a bit freaked out about this situation, I got the willies, and I got a chill down my spine. Needless to say, I was freaked out enough to throw the food out before I cooked it. I usually don't like to waste food, and I did. I also usually compost all veggie waste, and this freaked me out so much, I tossed it in the trash. Has this happened to anyone else before? Have you gotten conjoined corn? I know, it is lame to be freaked out by an ear of corn with 2 other little corns. July 30, 2010, 1st day of re-opening after the flood! Dona Mari Tortilleria is open! It has been closed for 3 solid months after being flooded in the May 1st flood event. 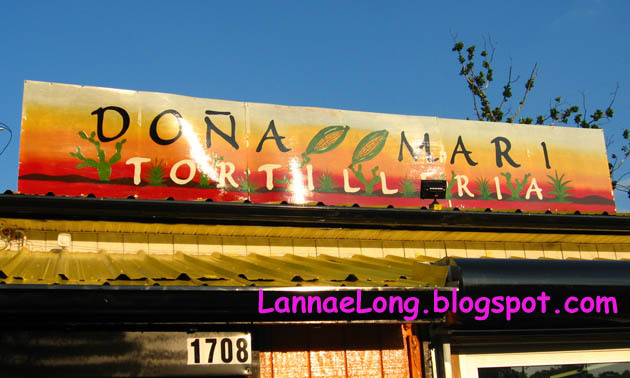 Dona Mari has the best fresh corn tortillas and freshly made corn tortilla chips! Yum! The corn chips are not up and swinging again just yet, as Dona Mari just opened on July 30th, literally 3 months after they were flooded, but the fresh tortillas are up and running and it is time for you to go get you a stack! The fresh tortillas are in the white cooler in the back near the tortilla making machines. 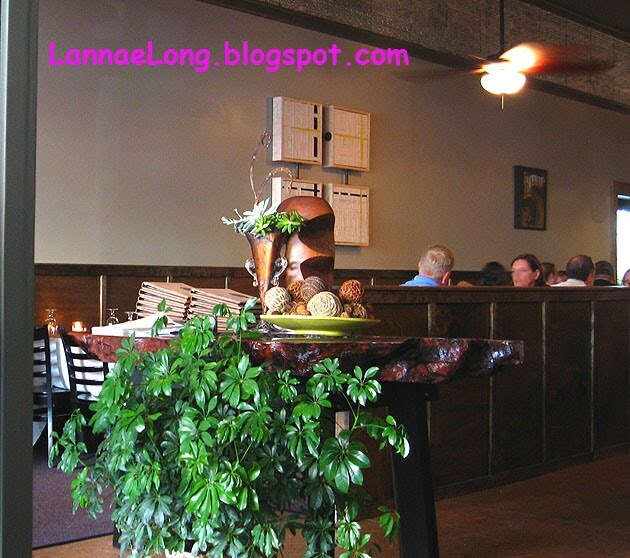 On April 30, 2010, a Friday like many spring Fridays, one simply beautiful sunny day before the 1000 year flood event in Nashville, I drove down to the corner of Haywood Ln and Antioch Pike to a scrumptious corner of groceries and ethnic restaurants. 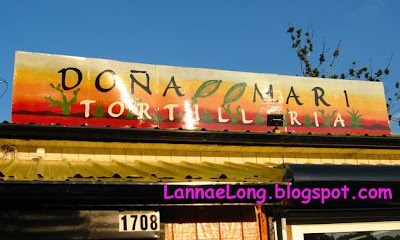 There was a store I had not noticed before and it is called Dona Mari Tortilleria. It is a small general grocery store, and part of the grocery store in the back is a fresh corn tortilla shop, prepared Mexican-esque hot dishes sold by the pound, and a small vegetable and fresh meat counter. The best part about the Tortilleria is the fresh corn tortillas in the cooler keeping warm, and the bags of fresh made corn tortilla chips. I have been unable to find this anywhere else. 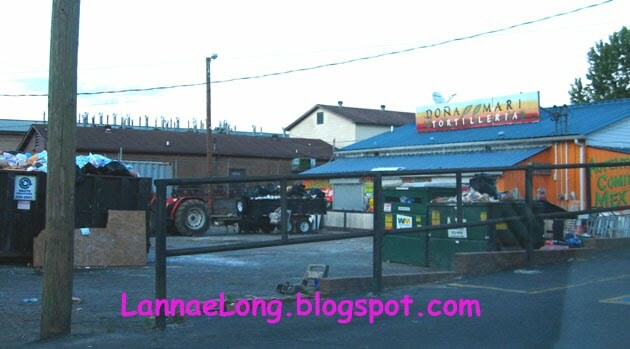 So, on April 30th, I was going to take blog about this general store and tortilleria and freshly made corn tortilla chips, but by the time I got around to blogging about it on the weekend, this poor little store was 8 ft under water! It took this little store 3 months to recover and finally open. All the inside was cleaned, and all of the inventory is brand new. I was sure glad to be in their store on July 30th, the 1st day of being re-opened and be able to get fresh tortillas! Downtown’s Merchants restaurants formally relaunches to the public today following nearly three months of retooling by its new owners. The Broadway restaurant has operated with an interim menu since May, when brothers Benjamin and Max Goldberg, owners of Strategic Hospitality, purchased the restaurant for an undisclosed sum. The restaurant kept its doors open seven days a week, with construction crews working the skeleton shift to remodel the building. Strategic Hospitality also owns Broadway’s Paradise Park and Division Street’s The Patterson House. They also owned Bar 23 and City Hall, both defunct. The ground floor is now a bright and airy, black-and-white themed bistro. At a preview launch Wednesday night, early garage rock played over speakers, bolstering the downstairs’ throwback-cool vibe. Contrasting with the casual bistro downstairs, the building’s second floor features fine dining amid dark walls and low lighting. Whereas the downstairs wait staff wear suspenders and bow ties, the upstairs staff stick with long ties (but retain the suspenders). He said the restaurant’s previous menu featured a lot of “heavy” food — steaks, potatoes and pasta with rich sauces. Goldberg said the new menu distances itself from the steak house feel, with more light fare like fish and salads. Clayton Rollison, most recently sous chef at Hermitage Hotel’s Capitol Grille, is Merchants new executive chef. Despite the new food and the new setting, Goldberg said he never considered changing the name. “I absolutely love the history of it,” he said. Once a popular destination for business lunches, Goldberg said he wants the new Merchants to capture some of downtown’s tourist dollars, but also to reconnect with the locals. He doesn’t want them to stop by before a Predators game, but visit as their primary destination. Wow wheeee! I am so giddy! 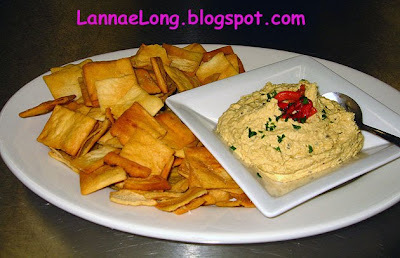 This blog, my blog is one of the Top 10 Food Blogs in Nashville according to Blogs.com! Check it out, Blogs.com Top 10 Nashville Food Blogs, and see my blog listed, some of my favorite Nashville Food Blogs, and some blogs I didn't know about until now! Thank You Blogs.com! I really like food, fun food, fair food, gourmet food, cart food, finger food, and any food I find good. That is why I am a member of the Nashville Cooks! Meetup Group, newly lead by our great food seeking leader Mike! He has come up with a couple great behind-the-scenes tours of some local favorite restaurants, and this month, he got a lucky bunch of us a tour of the O'Charley's Inc., Culinary and Beverage Innovation Center, AKA the O'Charley's R & D kitchen and bar. 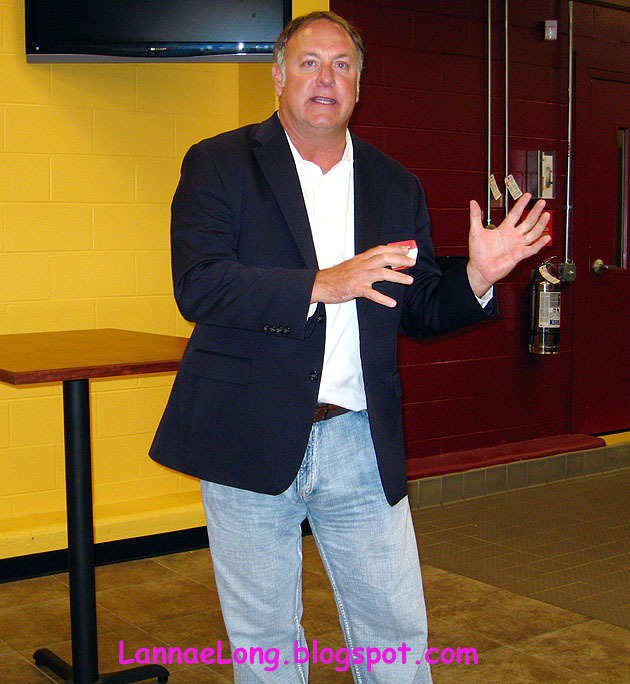 I jumped at the chance to see and meet the leaders of O'Charley's and see what they are all about. As you know, I am usually not about the big corporate restaurants, but O'Charley's is a little different. I found out this week, O'Charley's is based right here in Nashville, and the business office and R & D kitchen is nearly within spitting distance of my office. And behind every big company, there are the people and jobs. O'Charley's employs a lot of people in the Midwest and South from wait staff, to payroll, to line cooks, to managers, to food suppliers, to growers at over 240 locations. Those are people who are working, and I really like it when people are working. I akin some big companies and their spending to how I see James Cameron. James made the most expensive movie, Avatar, to date. But, while the press boo-hissed on the expense, James said all that money spent on production was paying people, and a lot of people for years. People worked on that movie from catering, hair and makeup, janitorial, suppliers, set builders, computer programmers, and of course the actors and more for years. O'Charley's keeps a lot of people working and has been for years. Stephen Bulgarelli, VP of Culinary Innovation at O'Charley's Inc.
Also, another tidbit about O'Charley's is that they stepped up to participate in the Eat Out For Nashville flood relief fundraiser that I helped promote. Amerigos and jounalist Chris Chamberlain started the idea for Eat Out For Nashville on May 17th, when participating local restaurants pledged 50% of their earnings to go to flood relief and the Community Foundation of Middle Tennessee. One of 2 big chains to step up was O'Charley's. O'Charley's offered up every O'Charley's and Stoney River restaurants (that did not get flooded) to participate. From Clarksville to Columbia, every restaurant participated. O'Charley's also gave every single Mid-TN employee a full day with pay to help flood relief, whether it was friends, family or community. That meant a lot to me because in my neighborhood, there is Browns Creek that backed up to heights I NEVER want to see again. My neighbors with basements had water into their basements, one block closer to Browns Creek those houses got inches of water into their 1st floor, and those 2 blocks from me, right on Browns Creek had their homes completely inundated (10 feet that is TEN feet) with water, mud, silt to the rafters, and their cars, sheds and anything not nailed down, and some that were nailed down floated away. Devastating. Just Devastating. I was speechless it was like nothing I have seen before (people who know me, know I am never speechless). O'Charley's stepped up and did the right thing for the Nashville community which includes my neighbors who lost their homes to Browns Creek flooding. And Nashville flood relief is not over, and neither is O'Charley's commitment to helping Mid-TN. After the flood, O'Charley's stepped it up again and pledged 10% of every gift card sold from Mid-May through June will go to help our community and continued flood relief again! So, on Wednesday July 21st, O'Charley's got the finally tallies of the amount of gift cards sold, and wrote the checks to two solid non-profit and charitable organizations: $10,000 went to the Red Cross, and nearly $45,000 went to Second Harvest Food Bank. It is late-July, nearly 3 months after the 1000 year flood event, it is hot and sunny now and the complete opposite of flood, and many people, who did not get flooded, have forgotten about the flood. I still have co-workers unable to go home, my neighbors will likely never be able to return to their homes, and I have friends struggling to find money to pay back the SBA loans that paid to fix their homes. And then there is O'Charley's continuing on to do the right thing and remembering that flood relief continues on past the month of May. Originally, during the Eat Out For Nashville grassroots effort, I went to a couple of my favorite local chef owned restaurants who signed on right away. The local joints had employees, including themselves, to have various amounts of flood water in their homes, and they signed on with earnest because of the need to help employees, friends, family and neighbors. Once I saw that O'Charley's and another chain signed on, I thought the world is open to ask other big restaurant companies. So, I set off to ask a handful of Green Hills chain restaurants to participate. I could see the employees in these places really wanting to participate because they too had flooding in their homes, and they knew it was the right thing to do. NOT ONE of the chains located in Green Hills, that I asked to participate in Eat Out For Nashville, did because their corporate didn't care enough about Nashville to participate. I am rather loyal to people who do the right thing, and on the flip side, I can hold a grudge better than most (what is the saying, hell has no fury worse than a woman's scorn). With my scorn, I will not willing go back to those corporates that said, "NO." If given a choice, I AM GOING to O'Charley's or Stoney River 100% because they did the right thing, they answered the call for help, the people behind the O'Charley's corporation genuinely wanted to help from day 1, and O'Charley's continue to help, even after all these weeks after the water subsided. The O'CHarley's folks have also been really nice, and as I have mentioned in other blog posts, nice goes a long way. Thanks O'Charley's and everyone behind the charitable efforts. And about the R&D kitchen you may be asking? Right, on with that part of the story! On Stephen has many years of culinary experience starting at the C.I.A. in Hyde Park, NY, then working for a few international food ventures for many years, and finally landing in Nashville a few years ago to head up the O'Charley's Culinary and Beverage Innovation Center. Stephen said that the meat and fish are fresh and never frozen. The burgers are delicious because (fat conscious people - don't read this sentence) there is a slight extra fat content that makes the burgers juicy, moist and flavorful. My take is that it does take fat to keep protein moist, and to carry the fat soluble flavors as well. 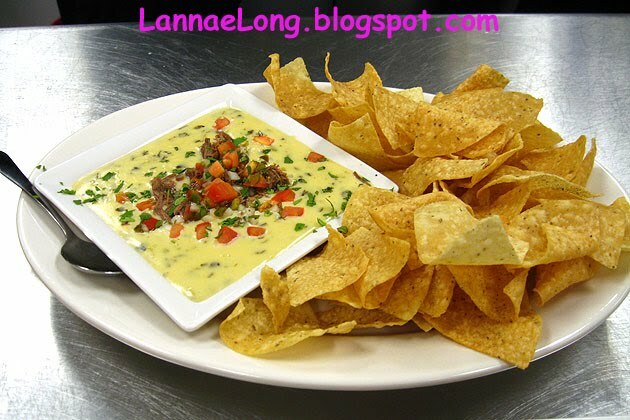 As for the O'Charley's menu, sometimes certain dishes may get retired, and new dishes come on the menu. There is a a lot that goes into the design of a new dish for the menu, and it could take a year or more to get to table. Stephen briefly walked through some of the steps to a make a new dish. 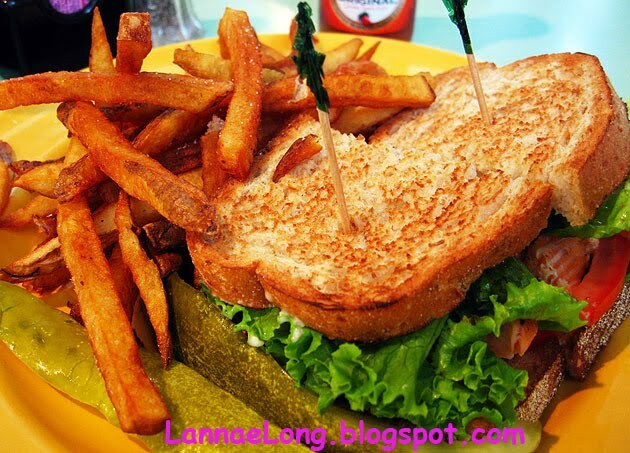 The dish has to be do able in any of the 240+ O'Charley's kitchens, and it has to be appealing to the diner. So, a new recipe starts out. Can the test kitchen line make the recipe, which the test kitchen has the same equipment real restaurants have. Do the taste testers like the dish. 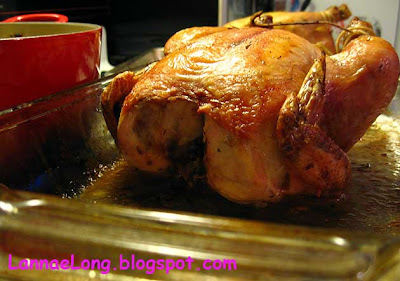 Can suppliers supply the quantity and quality to make the dish. The recipe gets tweeked by any comments and supply issues, and it is tested again. This can go on and on and a lot of recipes never make out into the restaurants. Sometimes, those limited edition dishes you might see on the menu, those are newly developed dishes that made it to limited release to certain restaurants and there is a "live taste test". Sometimes those menu items stick and go to all the restaurant locations, and sometimes, what was appealing in the test kitchen just doesn't make it to general release. That is the fun of R&D to create new and fun foods to see what people want to eat and enjoy. That's it. That is what I am thinking about O'Charley's -a company with a nice charitable arm. Maybe I will see you at the O'Charley's near me on White Bridge Road. My foodie friends threw a really wonderful dinner party because of the invited guests, all the locally grown food on the table, the various wines poured for the evening, and conversation with diverse people with diverse interests. When can we do this again?! The beets are from the hosts' local organic CSA Hill and Hollow. 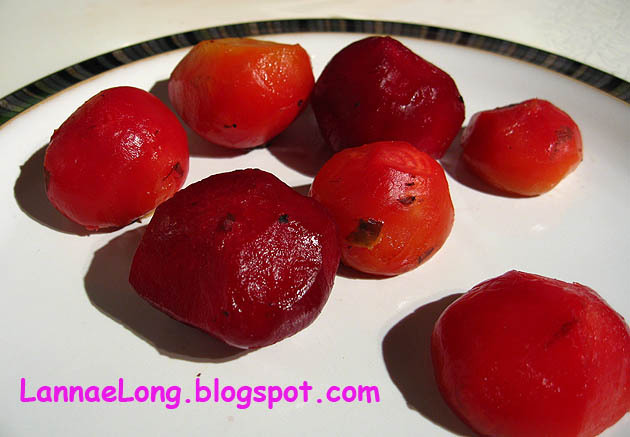 The beets were roasted, which is my favorite preparation for beets (I am not a fan of pickled beets), and then the beets were diced with cheese, and drizzle of olive oil. Simply delicious. I made a simple tomato dish. Actually it is the first dish with the majority of the ingredients from my garden! I am so happy to have the opportunity to share the fruits of my garden with such wonderful friends. 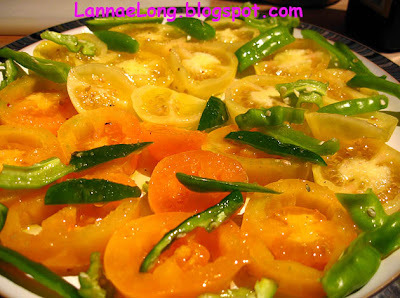 The tomatoes and mild peppers are from my garden, and all of the fruits are heirloom organic. I topped the tomatoes with a drizzle of Cyprus Hill organic olive oil made from Napa Valley grown organic olives. I then sprinkled some Himalayan pink salt and herb de Provence on top. Then, to finish the dish, I sprinkled some fresh Greek oregano from my friends garden. The local organic free range chicken raised with Love and roasted with lemon juice and lemon zest. These sauteed mushrooms were really straight forward and really good. I totally forget what mushrooms are like. Since cooking mostly local and local organically, there are not a lot of locally grown mushrooms to be had in Nashville, I have just not cooked mushrooms. 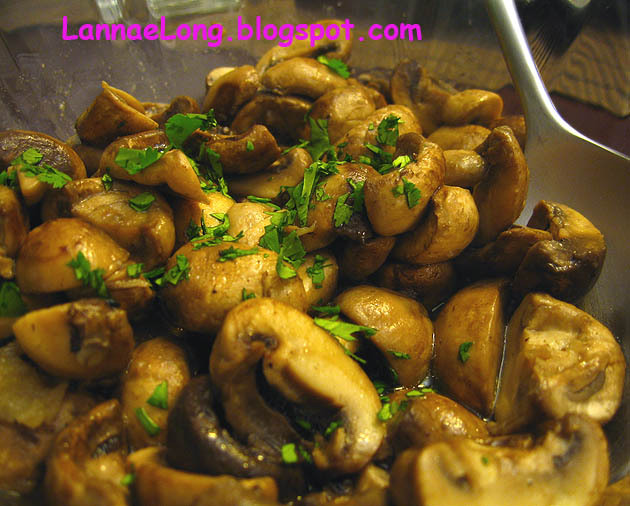 We both like mushrooms a lot, and this dinner party reminds me that I do like the taste of mushrooms. The hosts made a nice big bowl of roasted new potatoes, or red potatoes as we called them as kids. 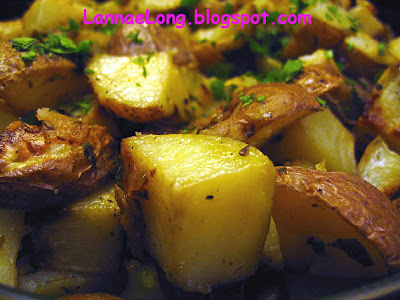 There was quite a bit leftover from dinner, and I am thinking that the hosts should make a chicken potato hash for breakfast the next day. Add a little garlic, smoked paprika, onion and peppers to a skillet fried leftover chicken and potato mixture, and I am in heaven! 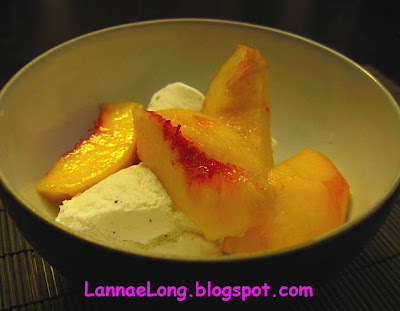 The peachy dessert was fresh peaches soaked in a white dessert wine topping vanilla ice cream. I need an ice cream maker, so I can make ice cream for a simple and delicious dish like this. I really did not want to leave, but alas I had to leave because we were both so very tired and need to get up early the next day. I am still wondering when we can do this again. Soon!! Tayst just reopened recently after doing some major renovations including increasing the size of the windows to allow more natural light into the dining room, and to convert the restaurant to be the 1st and only "green restaurant" in Nashville. Jeremy Barlow, chef and owner, has been cooking local organic foods ever since he opened Tayst in 2003. Some of the farms he sources his food from are the same farms I source my food from. 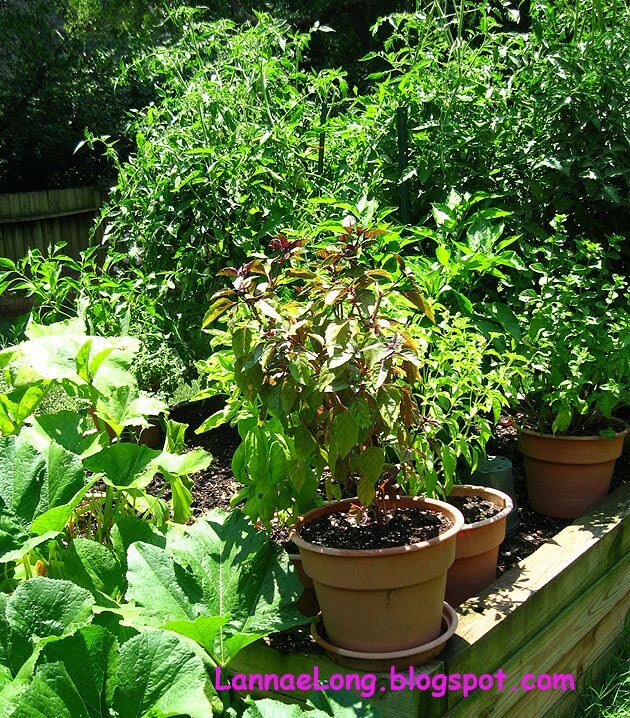 When I cook local organically, I know who grew my food, how they grew my food, and where they grew my food. When I started being serious about eating locally in everything I make, I went to many of the farms to see how my vegetables and meat are raised. Jeremy has done the same, and he knows his food growers and he knows how the food he serves is grown and raised. Jeremy suggests everyone who are able to do so, go and see who is growing their food, and how their food is grown and raised and get really get back into touch with what is nourishing one's body. A couple years ago when we had an early spring followed by a freak week of a hard deep freeze, which killed all fruit blooms, I felt a sadness to my bones when there was no local fruit to be had because I had returned to being in touch with the weather, the land and the food I ate. With such variables as the weather, freeze, drought, flood, Jeremy has to be really in touch with the weather, farms and land to source enough food and variety of food to feed all the hungry patrons over the course of days, weeks and year. Everything that Jeremy does with Tayst fits into my ideal (which I have not and most likely will never meet) way of eating locally and green. Jeremy is the 1st and still only green restaurant in Nashville, meaning he composts vegetable waste, recycles the recyclable materials like cans paper and glass, he has put 0.5 gal/min flow aerators on the bathroom sinks, and has gotten down to less than one bag of solid waste per day instead of 1/5 of an industrial dumpster per day. There are also conscious and sustainable product use for the table candles, the window treatments, the floor, the wall paints, and the candles on the table. The list goes on, and way beyone what I have done personally at home to go green. As people know, I am in the environmental biz, and I am an advocate for reducing, reusing, recycling and composting, and Jeremy and Tayst does this so well. The menu concept at Tayst is that every dish is mostly made with locally sourced ingredients, and if they are not locally sourced, they are from sustainable humane sources. 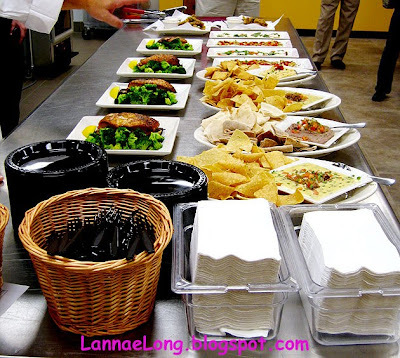 The menu is divided up into 3 menus, the small plate bar menu with snacks all under $5, a starter menu with soup, salad, cheese plates, and other smaller fun food, and then the entree menu. The most recent visit I went with the Meet Up group "Nashville Cooks and Jeremy let us use the main dining room to order whatever we wanted from bar to entree to dessert. I opted to do only small plates including wings, cheese, nachos and pork belly because I like to mix and match my food. It was fun, and really nice that the small plates were small enough to leave me room to try others. The nachos were homemade fried crispy tortillas topped with a lamb stew. The caramelized cheese was interesting because it seemed to have been caramelized like you would a creme brulee, with a little sugar. The caramelized sugar seemed to have coffee aroma to it, it was crunchy like a creme brulee topping, and it gave a contrast to the melted cheese bite. It will be interesting to see what Jeremy does with salad dishes on the menu this summer. As a nation, we have gotten so used to having leafy lettuce at the grocery store all year long, but most lettuce does not grow in the summer heat, and lettuce is really a spring, fall and partially winter vegetable. 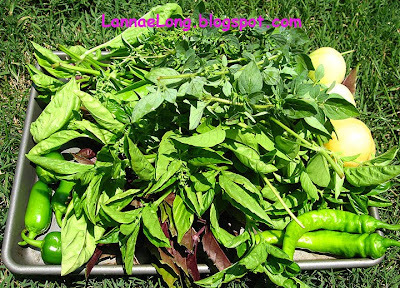 I do not eat lettuce at home in the summer because it is not available at the farm or my yard. I would like to know what Jeremy does, so I can get ideas on how to make salads at home for the summer time. The last thing I want to mention about Jeremy's choices to serve foie gras and veal. He claims that the animals are humanely raised. The veal is not really supposed to be labeled veal because they meat is from a free range young cow which hung out in pasture. The "veal" on the menu is not from industrial veal fattening pens. Jeremy also knows the farm and raising practice where the foie comes from. It should be known, that geese will eat a lot if there is a lot off food offered to them, and if they have an abundance of food, they will eat it, kind of like pet dogs and some cats. My current pet cat will eat anything and everything in sight, and acts like I have not fed right after she finishes her food in the bowl. With excess food, geese livers become enlarged naturally because they behave just like dogs and cats (and behave like at least 1/3 of the humans in the USA for that matter) when there is too much food, the will over eat. It isn't necessary to gavage. The last time I was at Tayst, I asked Jeremy if he could Pittsburgh a steak for me. It is thought that the original Pittsburgh rare steak happened on one of Steel City's sheet of steel and a blow torch, and the steak got really hot and charry on the outside while staying cold and rare on the inside. It would be great to be able to get a Pittsburgh rare local free range grass fed steak. Jeremy said he will make it on cast iron, the traditional way. I look forward to my future steak. I like driving around Cleveland and Ohio because, for the most part, Cleveland and the whole state of Ohio major surface roads are on a grid system with road names telling you where you are going. It is easy enough to get around. Detroit Rd heading west will eventually get you near Detroit,MI, Lorain Rd will eventually get you close to Lorain, OH. To the west of Cleveland, Cleveland Road will get you to Cleveland. Also, most of the major roads are a grid, so you can trust the numbered streets to run north-south and get you to Lake Erie or south. It is fairly easy to get around once I took a minute to understand the road name convention in Cleveland, and looked at the overall grid road system for Ohio. You don't get grid and ease in Nashville or Boston, two place where I have lived or live, and have kvetched about getting lost on roads that don't make any sense. Anyway, getting to the West Side Market was easy for me. I hopped on Lorain Rd, and took the scenic route to see what I could see on Lorain Rd. 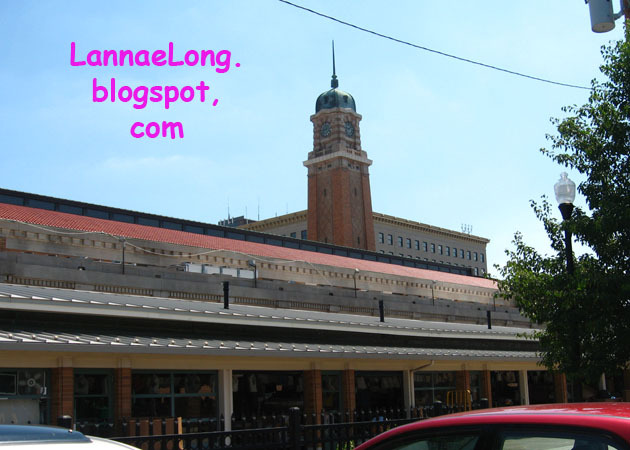 I knew I was there because I saw a West 25th St sign and the very tall 137 ft clock tower of the West Side Market. There is ton of free parking in various lots around the market. The market is only open M, W, F and Sat. The market has a lot of meat, cupcake and vegetable stalls. There are also a pierogi, Asian, Middle Eastern, cheese and other kiosks to see. The food sold here during the week is mostly not local nor organic, and looks like the meats and produce are from the same wholesale warehouse chain grocery stores are sourcing their products. Midweek, there were many empty stalls at the end of the vegetable market, and perhaps on Saturdays that is where local farmers sell their food. I don't know that for sure if this happens on Saturdays, but it would be nice if there were locally grown foods for Clevelanders. It was a little odd not to see any locally grown foods because Ohio is one of the major agricultural states of the USA. There are many acres of farmland in Ohio, so it is unclear to me why it is so hard to find farm fresh food at West Side. But the upswing of the West Side Market is that the meats and produce solid cost less than at the big box chain grocery stores. There were also "price wars" going on with veggie stall owners with one saying, "$2 per lb," and then the 2nd saying, "$1 per lb we have the best deal here! Come over here!" Walking around the West Side Market was fun, and I worked up an appetite, so we all went to the West Site Market Cafe, which is quite diner like. They offer breakfast and lunch items here and are open 7 days per week from what I understand. Since I was a little disappointed in the lack of locally grown foods inside the market area, I was not expecting much from this cafe. Was it my initially low expectations, or was that the West Side Market Cafe makes really good food, I don't know, but I really enjoyed my sandwich and fries! I got a house smoked salmon sandwich with house cut fries. The waitress said they get the salmon from the market house, and then slow cook the salmon over wood and smoke and serve it on toast with mayo, lettuce and tomato or a SLT. The salmon is not like Nova lox, it is cooked over wood charcoal and smoke, so it is the texture of cook salmon, with a medium light addition of smoky aroma and flavor. The salmon was perfectly delicious, moist, and tender. I really liked SLT a lot! This was an exceptional sandwich. I keep saying I don't like sandwiches, never had, but I keep blogging about good sandwiches I like a lot like this one. It must be that I don't like bad sandwiches, which there are quite a few bad sandwiches out there. But West Side Market Cafe, house smoked salmon sandwich is definitely a good sandwich. I had a late plane out of Cleveland, and it had become later and later, and I could have had a great night on the town, the plane was so late, but that is another story. Because I had a late plane, I had time to head to the West Side Market for snacks and a late lunch, so I called up my long time buddy, who works in downtown Cleveland, to come meet me for a long lunch. My buddy has lived in Cleveland for about 20 years, and her husband was born and raised in Cleveland, so they know their way around this town. We met for lunch, and since I mentioned I had plenty of time before heading off to catch my Late late plane, I could do something else. A sparkle came to my buddy's sweet tooth, and she said, "follow me!" We walked through a block of the trendy restaurants including the Great Lakes Brewing Company (well not trendy, but great locally brewed beer), and the Flying Fig, and come out on Lorain Rd. And then, there it was, the most unimpressive store front you could ever imagine. My buddy said, "We are going to have dessert, and here we are!" Where were we? We got to Farkas Pastry Shoppe. So we walk into this door in an old building with no air conditioning. I look around, there is one table, a counter, and a couple people tossing around dough and flour while wearing their off-white industrial aprons. Again, completely underwhelmed visually, but I was guessing that there was little energy put into decor, and a lot more energy put into the desserts. I was right, and desserts here are delicious!! My buddy is quite familiar with this pastry shop because her husband went to school right around the corner from this shop, and she has been coming to this place ever since she moved to Cleveland. One time, long ago, at some sort of PTA event, she was slated to bring a dessert, and she brought a sheet of Farkas Napoleons, and they were a big hit, so from then on, she has been designated the dessert lady, and always told to bring the Farkas Napoleons. One of the bakers come to the counter and asked what we would like. Napoleons for everyone! We got a complimentary cup of coffee, and sat down a the one table. The baker cut pieces of Napoleon for us and then topped it with a little powdered sugar. 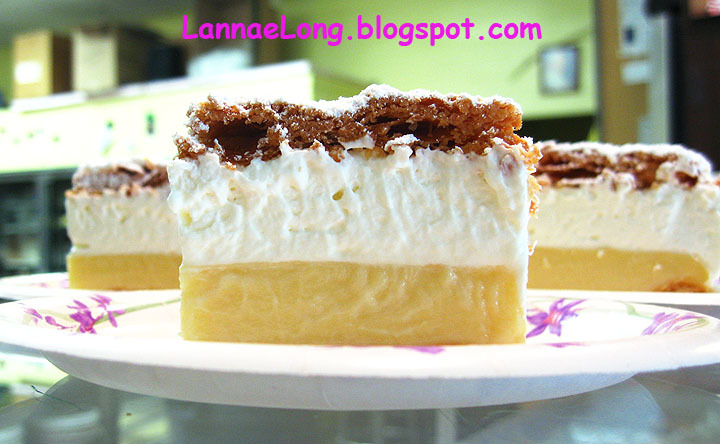 The Napoleon had a flaky multi-layer pastry top to it, a layer of creme, a layer of vanilla creme, and a base of more flaky pastry. Oh, the pastry layers had such a nice crispy thin crunch to it which contrasted well with the smooth coolness of the creme layers. Both creme layers were extremely light and just melted in my mouth. The creme and pastry were not overly sweet, just the way I like it. This was the perfect dessert for less than $3. The Napoleon was so good, and I wanted to bring some more Farkas desserts home with me, but the Napoleon would not travel well. I then opted for the Linzer torte inspired cake. I got 2 pieces of the raspberry linzer torte made with linzer dough and raspberry filling, and then topped with hazelnut cake. Each large square was less than $2, and it too was delicious! So, again, just like Jolly Donut in Sandusky, OH, don't judge a book by its cover. Neither Jolly Donut, nor Farkas Pastry Shoppe store fronts look like much at all, and I would have passed by both of them (and have) without given each a second thought. Well, I know better now. Farkas Pastries are really nice pastries. If you find yourself at Cleveland's West Side Market, make sure you take a walk 2 blocks west on Lorain Rd, and get yourself a European pastry treat. Cesare and Andrea, chef and owners of Zinc Brasserie, on May 19th, opened their new restaurant across the street, and that is Crush Wine Bar. For the past year, there were rumors that they were looking at a water front property on Shoreline Dr and possibly opening a noveau Italian restaurant. But, this is a better concept for me, a wine bar with various small (tapas-esque) plates to mix and match with various wine pours. To start I believe the menu was all small plates, but this doesn't seem to work for American traditional diners who want a big meal plate like steak and potatoes, or a big pasta dish. Shortly after the soft opening, they put larger plates on the menu to have something that each volume and taste would want in dinner. During my most recent trip to Sandusky, I got a chance to talk to Andrea about the new Crush Wine Bar. It turns out Cesare had decided to hire two chefs, one for Crush and one For Zinc. Both new chefs are from C.I.A. Hyde Park, NY. The new chefs bring a breath of fresh air to north central Ohio, and a real focus on excellent, local and organic ingredients with excellent preparation techniques. Cesare and Andrea also have hired a bunch of other people to work at Crush, which is helping the local economy for sure. I am amazed with the economy that there can be this pocket of growth in Sandusky. Crush and Zinc have really livened up the Sandusky, OH downtown area, and helped make downtown a destination again. Crush and Zinc are real gems for a Sandusky, OH. When I went to Crush mid-week for dinner (Crush is only open for dinner Wed - Sun) and the place was packed, and seemingly with mostly locals. There is a bar, and that was packed with people ordering wine by the glass and small plate snacks while chit-chatting with friends. In the back of the restaurant is a window to the open kitchen, and a chef's table dining area that can be reserved for a large dinner party, and also for chef's tasting menu if you call ahead. 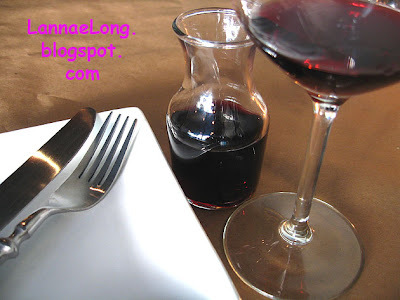 The wine menu offers 3 oz, 6 oz and bottles of wine, which is great for me. I don't drink a lot, so it is nice to have 3 oz at a time to pair with dish, and then be able to move on with another wine pairing. The menu is also fun and reasonably priced as well. 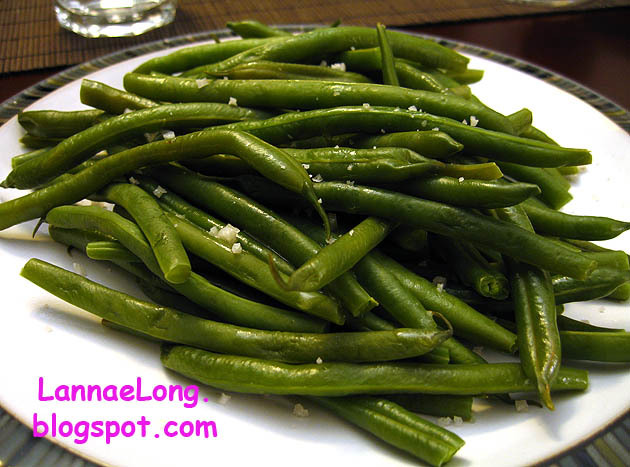 There are small cold plates like salads, olives, bread and olive oil. 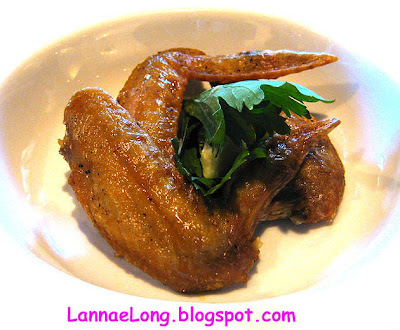 There are small hot plates that include gastro-pub style foods like duck wings, calamari, pork belly and ribs. For those who are not used to a dim sum, tapas or small plate concept, there are large plates of pasta or meat. There is also a cheese course which is a nice touch because I do enjoy ending a meal with a cheese course as if I were in Burgundy, France. For my meal, I got a bunch of small dishes. I got fresh baked French bread with olive oil dip, calamari with jalapeno peppers and lemon aioli, a Thai inspired fresh vegetable salad, and grilled pork belly with pineapple. 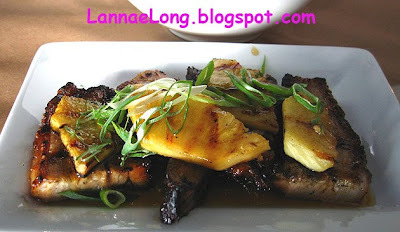 I really liked pork belly and char grilled food, so this was a dish I really wanted to try. The pork belly is braised for hours, sliced thick and then put on the grill to give it some smoke and char. What is not to love about pig fat? The salad, eh, it was a salad with a lot of carrots, and I just don't love carrots. I am sure it was a good concept, but it was not for me because of the carrots. I love the bread, it is the same bread served at Zinc. It is crispy on the outside, and a little chewy on the inside, and the perfect French Bread if there could be a perfect French Bread. In the past, I have called ahead to Zinc, and ordered a loaf of this Bread to take with me and snack on in the hotel room. Oh, the bread is so good. 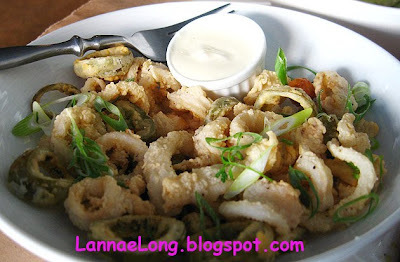 The calamari was cooked well. 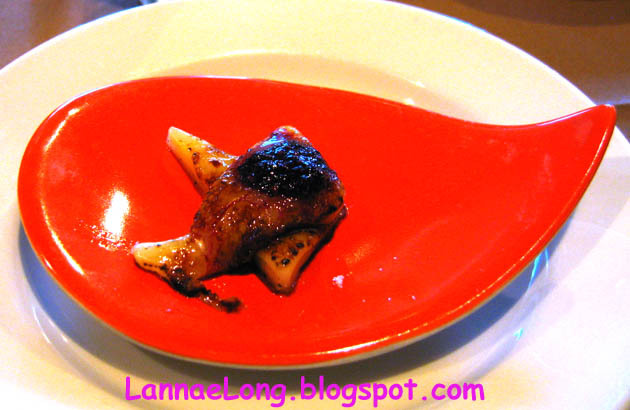 For my taste, I am used to really spicy and strong flavored Thai style dipping sauce for fried squid, and I will likely ask if they have any hot peppery sauce next time I get this dish. I enjoy eating a lot of small plates like tapas and dim sum instead of one big monolithic meal, so Crush menu concept fits my favorite style of eating. The menu both food and wine are completely different in concept and flavors from Zinc. Crush has a much more gast-pub bar feel to it, while Zinc is more of a quieter lunch and dinner concept. If you are in Sandusky, it is worth visiting both restaurants. I believe Fiesta E-Mart grocery store is owned by a family of Korean decent. The other day, they had a traveling kimchi sales group come and set up a temporary kiosk to sell some Korean specialties you cannot get in Nashville (but you could get in large cities like New York, Chicago and Los Angeles). This kimchi group, which I did not get their card (bummer), travels from small city to small city in the Southeast USA to bring real Korean kimchi and banchan (Korean side dishes) for sale because these small cities like Nashville, Durham, etc don't have kimchi and banchan for sale normally. They say they only come to Nashville and Fiesta E-Mart only once per year, but they claimed they may be back once again around X-mas time, but I need to keep an eye out for the banner when they come back. I am so lucky to have met the kimchi dudes, and I must ask the Fiesta E-Mart staff when the kimchi dudes are coming back. The kimchi dudes set up with refrigerated 20 gallon sized barrels, each barrel had a different type of banchan and kimchi. About 1/2 where vegetable and fruit based kimchi, including Japanese preserved plums, long onion leaves, and some form of green leafy vegetable. 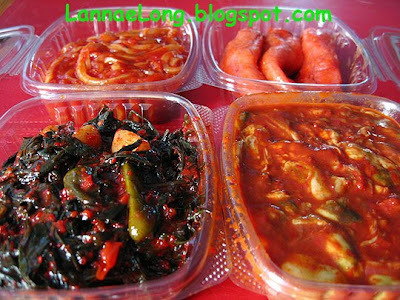 The other banchan were seafood based such as fish heads, octopus, oysters, crab, fish eggs, and squid. The kimchi dudes also brought dry goods too like Korean cookies, popcorn, dried anchovies, soap, shampoo, tea, mushrooms, and a bunch of other great stuff. The banchan and kimchi I got, some of it went for $25/lb and some of the vegetable based kimchi want for $3/lb. I spent about $50 for 5 small containers of banchan and kimchi. I got squid, oyster, baby crab, smelt roe, and green vegetable kimchi. The seafood based banchan I got all seemed to have been cured in salt, as any caviar is cured in salt. Then, the seafood based banchan is then further cured with garlic and red hot chilis. I got the oyster banchan because I know the oysters were harvested before the BP oil disaster, and likely not from the Gulf of Mexico, so I know they oysters are not poisoned by the BP oil sea-volcano. I love oysters, and I thought that this might be the only oysters I eat for a long time. The oysters were certainly salt cured as this banchan is very salty, but the saltiness is balanced by the garlic and chili flavors. The banchan I got is very good to mix with rice. I took just a couple table spoons of the seafood banchan and mixed it in with a generous serving of rice to make a bibimbap, and it made a really tasty quick dinner meal. I have put up most of the banchan and kimchi in the freezer, as directed by the kimchi dudes, so I can keep using a little bit of each one for a long while to come. I do have to ration out my banchan until I can see the kimchi dudes again. I have just discovered Fiesta E Mart, an ethnic grocery store on Nolenville Rd. It is at 905 Nolensville Rd 615-832-7435, and it is located on the corner of where the Elysian Fields Kr*ger store is located, and is south of the Zoo, and north of Harding Rd. Fiesta E Mart is rumored to be owned by the same people who own K & S market. The pros to Fiesta E Mart is that there is the same wide variety of ethnic foods available at K & S, the vegetables are from the same distribution center as the chain grocery stores (like the Kr*ger) and Fiesta E-Mart prices the produce way cheaper than the chain grocery stores, there is a really good parking lot at Fiesta E Mart, and there is a traffic light at the corner of Elysian Field Rd and Nolensville Rd, so that it is a safer entrance and exit out of the parking area than the K & S.
The avocados, limes, peppers and cilantro are all so much less per piece or pound than the chain grocery stores, but of higher quality at Fiesta E-Mart because the turn over is so much higher in these veggie products. When I am not traveling for work, I have picked up avocados, limes, peppers and cilantro to make guacamole for snacking for the week. Amazing! Just perfectly ripe avocados for the fraction of the price of those in the chain grocery. 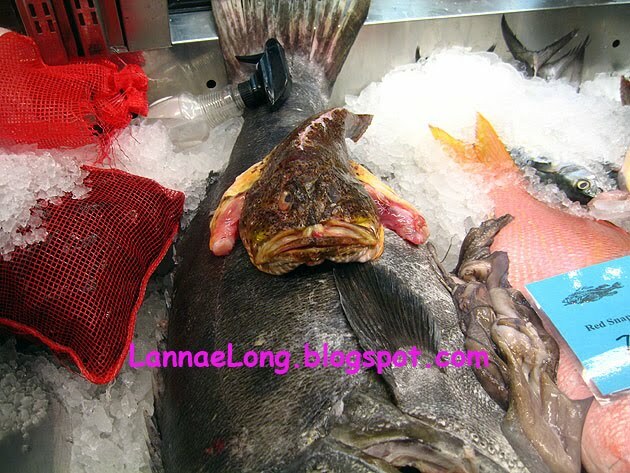 Last time I was at a chain grocery in the West End area, I looked at the avocados, and they were rotting and oozing black goo, and the chain store was charge twice that of Fiesta E-Mart for rotting food. In the back right corner of Fiesta E-Mart is a kimchi refrigerated cabinet with big jars of cabbage based kimchi. Oh, what a sight! I have not purchased this kimchi because it is too much quantity for my small household, but for those who love kimchi, this is the store section for you. In the meat section, there is a hot table with a couple varieties of chicharron, and a couple stewed pork dishes. There is on more reddish-orange stewed pork dish that I got about 1/3 lb and used in home made tacos. This pork was likely made with garlic, salt, pepper, chilis, and annotto, and it is perfect flavor with a little Mexican style crema, onions, cilantro inside a tortilla. Fiesta E-Mart also has a huge long aisle of ramen noodles, all varieties and sizes. Believe me, there is an art to ramen beyond the quick caloric meal made in a college dorm room hot pot. At the check out lanes, there is a table of fresh made Korean snacks, like cake, rice sticks, and locally made kimchi to choose from. There is a lot of great ethnic foods happening here. The question I have is, should I have done the 350F for 50 min first, and then raise the temperature to 500F for 20 min to finish off the chicken and make a more crispy skin? Ya know how Alton Brown suggests a low and slow roast for a prime rib roast, and then finish it in a very hot oven, 500F for 15 min or so to get a nice brown crust. Does that apply for chicken too? 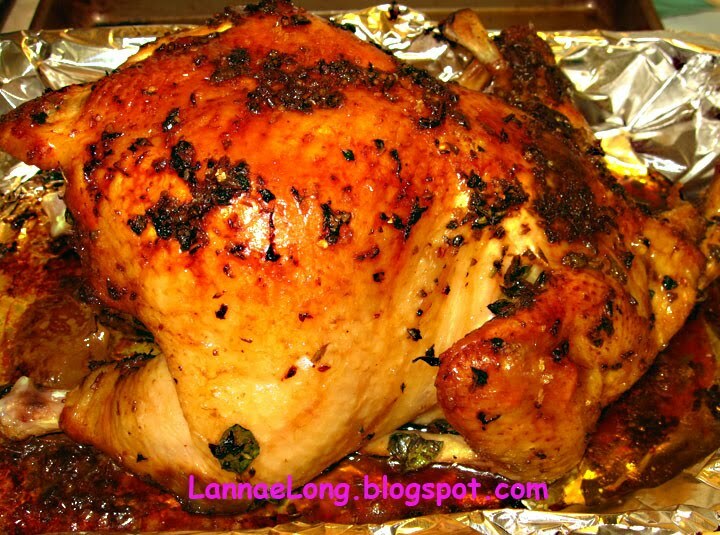 Eh, either way, because I started out with such excellent ingredients, this chicken turned out really really good! I was lucky enough to have a 6x6 ft raised veggie bed in my yard, and it came with the house when I bought it. I had thoughts of being green-thumb heirloom-organic farmer, feeding my household with food from this raised bed. I set off by buying heirloom-organic seedlings from Tana at Eatons Creek Organics Farm just in the north side of town. I got 3 tomatoes, 2 peppers, and a bunch of herbs. I got some organic beets from Bells Bend Neighborhood Farms, and I got some fugitive squash plants (probably conventional pumpkin) from Earth Matters Carver Food Park, my local community garden's compost pile. So, I put all these food items into my raised bed in April, 2010, and the wait began. I got some herbs, as they grew pretty fast, but this was not going to sustain a household of 2. We need about 4k - 5k calories per day for the 2 of us for the level of activity we have, and the herbs gave us about 4 calories for the week. Obviously not enough. 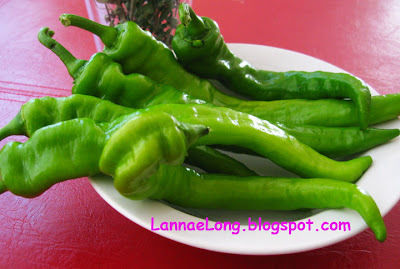 Anyway, it is now July, and we got our 1st harvest of sweet peppers. For all the time from April to now, had we had to rely on the 6x6 bed to feed ourselves, we would have starved. 2 or 3 years ago, I read that it is possible to feed a family of 2 all their vegetable needs by growing all year long in one 4x4 raised bed. It requires a lot of crop rotation, maybe fast growing crops, a hoop house in winter, a lot of growing knowledge, and a lot of constant work to feed a family of 2 by using one raised bed. By my one spring season of growing in a raised bed, I can say this idea of feeding a family of 2 by using a raised bed is not a reality for me. My household would have starved by now. It is nice though, to have supplemental food flavorings such as herbs and peppers from my raised bed to put into my dishes. I really enjoy walking outside, cutting sprigs of herbs that will be part of my meal. As for the tomatoes, I am still waiting for them to turn colors, so I can pick them. I hope for my own tomato sauce over the winter, and not canned tomatoes. This got me thinking about the land space needed to feed an average USA person, like myself. I wanted to find out how many acres it takes to feed the USA, and set out to find the answer. The answer is 1 acre of crop and per person in the USA. According the USA Census Bureau, the estimated population of the USA is 309.7 million. Conveniently, according the USA Department of Agriculture, there are about 309 million acres of harvesting cropland in 2007, and I assume that the number of harvested cropland currently in 2010 is still about 309 million acres. This makes the math convenient, 1 acre per person or 309 million acres for 309 million people of the USA. An acre is about 210x210 ft or 70x70 yd. This acreage per person in the USA is way more than a 4x4 or 6x6 bed, so I don't feel as bad about not being able to feed my household with one 6x6 raised bed. I was feeling a bit defeated that I was unable to feed ourselves with this one raised bed, but I realize now that a single small raised bed is not the standard, rather it is nearly an unobtainable standard, now that I know it takes 1 acre per person, or 2 acres to feed a family of 2. Still though, in the back of my mind I am thinking that I can possibly meet our vegetable needs through this one raised bed. The feeling I have about feeding my household family with my one raised bed seems to be a lot like trying to win the Olympic Marathon, a seeming unrealistic standard, but there are people in the world who do it. I do run, and I have jogged a marathon distance multiple times, but I am not setting any land speed records, and I just cannot see myself winning an Olympic Marathon. It is akin to me being a farmer of my 6x6 ft raised bed. I am organically farming my 6x6 ft raised bed, but I am not racing along to feed my household only with food from the bed. The former La Paz (named after a city in Bolivia) restaurant space is now Tokyo (named after a city in Japan). I have gone to the former La Paz restaurant many times over the decade that I have lived in Nashville, not because of the food or drink, but because of the patio dining option. Me and my friends would spend time eating chips, salsa and dip and sipping on cold ones outside on the patio. I have only eaten inside the former La Paz restaurant once (when I first moved here) and thought it to be really underwhelming at best, and a bit like eating in a dark cave. But, a nice outdoor space and hanging out with good friends on a nice day really makes me ignore mediocre food and drink. It seems that this owner kept the patio dining option and I am not sure how that will work. If there could be some really great drinks and snack type foods (Japanese equivalent to chips and salsa) I could see me and my friends wanting to partake in the patio once again. I just don't know if soybean (edamame) or nori strips with tiny saki cups are the right substitute. That was then, and this is now, and Tokyo Steakhouse is now open in that Cleghorn location. This Tokyo is owned by the same person who owns Tokyo Steakhouse in Smyrna, TN. I wonder how they compare. When I walked in for lunch, I tried to remember what was there before, but I really could not because I did not spend any time (except once) inside the building. I suspect that much of the dining area was gutted to make way for a hibachi dining area and a regular table dining area. The dining room we sat in was dark (lighting was not necessarily upgraded from the past tenant), but the booths are comfortable and gold and red glittery. This one visit, there was a family with a 2 year old seated next to us, and the only other party in the room. People say the Smyrna restaurant is a family restaurant, thus translating the Green Hills location as a family friendly restaurant. The 2 year old had made it her own by throwing everything on the carpet around her, including ice, rice and other food, straws, paper napkin bits, straw covers, paper chop stick covers, chop sticks, and almost anything that could be on the table was in a 2-ft radius around the child's highchair. As gross as it was to try to step around mushed grains of rice and food, and bits of paper and straws on this nice new carpet (now stained and sticky), it was painful to see the staff trying to pick up all they could by hand as not to bring in a carpet cleaner and vacuum while we ate our lunch. It is a pet peeve of mine to have vacuums blowing dirt into the air while I eat, so I appreciate the staff for dealing with the messy aftermath of the child and family in the manner that they did. It seems to be a theme amongst some toddler parents where they find it acceptable to allow their children to throw things (that should remain tabletop) on the floor of Asian restaurants. I see this all the time at a couple Nashville Chinese, Vietnamese and now this Japanese restaurant. Would they allow their child to do that at Margot's, Tayst or City House (places of similar price points as this restaurant), I think not. For lunch, we got a bento box and some soba stir fried noodles. I noticed that the price points of the bento box and noodles are a $1 or 2 higher than any other Japanese restaurant in Green Hills and West End area. What came out was nice hot and tasty pile of soba noodles with some veggies in it. There was not a lot of soy sauce in the soba, so we added our own. 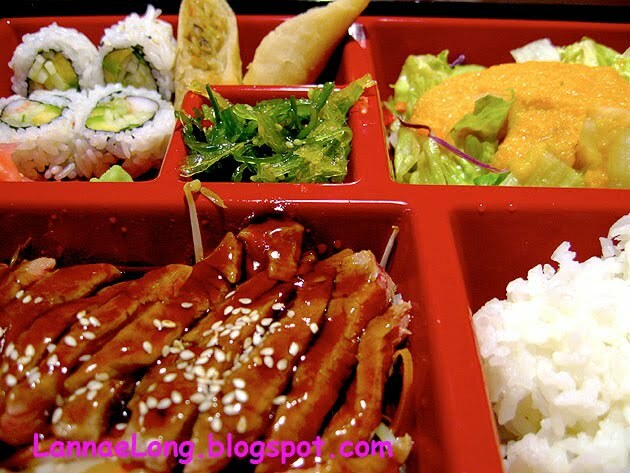 The bento box was surprisingly fresh, with hot parts hot, and cool parts cool. It tasted good. I would say that to get out of the hustle and bustle of the Green Hills and West End area, and to sit down to a decent Japanese meal, this might be the place. For lunch on the weekend, Green Hills and West End restaurants can get really crowded, and this one has not really caught on yet, so it is possible to have a leisurely sit down lunch at Tokyo Steakhouse. We will likely go back to have a decent meal here for lunch if we ever find ourselves in Green Hills at lunch time and want a Japanese meal.